Something has been bothering me for quite some time and after writing the BJCP several years ago and not receiving an answer I thought I would try again and also post it on the web. I have a problem with bitters. More specifically I have a problem with the way the AHA and the BA classifies them for judging purposes and the injustice it does to this grand style of beer. I am not an expert, but having lived in the UK I then returned to the US started homebrewing, judged twenty or so competitions and only recently returned to the UK to attend GBBF. For the last ten years I attended BJCP sanctioned competitions and the bitter category was always of special interest to me. What struck me at almost all of these events was the mindset of those judging the style. Many held Fullers ESB as a classic example but the vast majority seemed to set it at the lower end of the flavor spectrum when judging other bitters. In competitions where all three BJCP categories were combined it came as little surprise that an “ESB” won given that dynamic almost always emerges, but in some cases what passed for a strong bitter to me often seemed to be a strong hoppy brown ale or an IPA. Nothing I have ever tasted labeled as any sort of bitter in the UK before or since has been as “big” as most of those beers I tried at US competitions. But to be honest the typical US beer judge isn’t to blame because few have tasted real bitters. Let’s set aside the issue of having a completely separate category for English Pale Ale (which should include bitters by any stretch of the definition based on historical record or industry use in the UK), the problem I have is with US authorities attempting to fit square pegs into round holes. First the division of bitters into three categories: In the case of the BJCP Style Guidelines 8A is “Standard/Ordinary Bitter”, 8B is “Special/Best/Premium Bitter” and 8C is labeled “Extra Special/Strong Bitter (English Pale Ale)”. The newly released BA guidelines used for GABF judging simply lists “Ordinary”, “Special or Best” and “Extra Special” bitter categories. Whereas descriptions for the former take up barely a half page for all three, the BJCP guidelines runneth over and are easily four times the size. While the BA separates English Pale Ales as a completely separate category, the BJCP simply adds it to the “ESB” category. Neither is historically accurate in that all bitters were pale ales in England and are still thought of as such today. 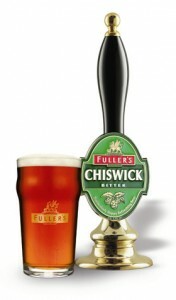 The “ESB” moniker is also misleading as it is a trademark used only by Fullers in the UK and “Strong Bitters” makes a lot more sense – it could also limit the notion of using Fullers ESB as the benchmark or as I mentioned a baseline example. In the UK today judging for the Great British Beer Festival divides “pale ales” into “bitter”, “best bitter”, and “strong bitter” categories. Looking at past winners it appears this is done more on the basis of alcohol content as at the core all “bitters” generally share the same attributes and ultimately it comes down to subjective opinion as to which is the best among its peers. The BJCP on the other hand put forward long convoluted parameters that tend to favor larger beers, and then even their examples often fall outside of those parameters. So let’s look at the examples the BJCP gives us for these categories. First off Ordinary Bitter 8A: Commercial Examples:Fuller’s Chiswick Bitter, Adnams Bitter, Young’s Bitter, Greene King IPA, Oakham Jeffrey Hudson Bitter (JHB), Brains Bitter, Tetley’s Original Bitter, Brakspear Bitter, Boddington’s Pub Draught – at first glance it would appear we might find one or two of these to try in the US for calibration purposes, but then we must realize with such low alcohol contents almost none are exported in their local form, and their local form in most instances is as a low gravity cask conditioned ale with limited shelf life. Boddingtons for instance sold in the UK with 3.5% ABV is exported in cans as Boddigtons Pub Ale at 4.7% ABV, well outside the 3.8% upper limit for the style the BJCP gives us. With no examples how can any judges be expected to know what a real low gravity bitter tastes like? How about a disclaimer like “if you reside in the Americas it is likely you will never taste a commercial example of this style made in the UK”? How about 8B Special/Best/Premium Bitter? Commercial Examples:Fuller’s London Pride, Coniston Bluebird Bitter, Timothy Taylor Landlord, Adnams SSB, Young’s Special, Shepherd Neame Masterbrew Bitter, Greene King Ruddles County Bitter, RCH Pitchfork Rebellious Bitter, Brains SA, Black Sheep Best Bitter, Goose Island Honkers Ale, Rogue Younger’s Special Bitter. Finally a category we can actually examine through commercial examples right? Well we certainly can find London Pride, but let’s take a closer look…In cask London Pride according to Fullers measures in at 4.1% ABV but for bottling the bump the ABV to 4.7% (http://www.fullers-ales.com/london_pride.php) And what does the BJCP list as the upper end of the ABV range for the style? 4.6%! So technically according to the BJCP London Pride isn’t in the 8B category. Most of the other UK derived examples we can’t get in the US and if we could they might suffer from similar “changes” to survive the trip. As to US examples we are given Rogue Younger’s Special Bitter for instance at 4.8% again outside of the BJCP’s own range. Goose Island Honker is the only US example listed that falls within the guidelines, whether it is a classic example of the style is another matter. In my humble opinion all judges of bitters should have to hop on a plane to Heathrow with orders to find fresh cask Timothy Taylor Landlord. Ok now let’s turn our attention to what appears to be the high alcohol and flavor catch all with regard to bitters, 8C. Commercial Examples:Fullers ESB, Adnams Broadside, Shepherd Neame Bishop’s Finger, Young’s Ram Rod, Samuel Smith’s Old Brewery Pale Ale, Bass Ale, Whitbread Pale Ale, Shepherd Neame Spitfire, Marston’s Pedigree, Black Sheep Ale, Vintage Henley, Mordue Workie Ticket, Morland Old Speckled Hen, Greene King Abbot Ale, Bateman’s XXXB, Gale’s Hordean Special Bitter (HSB), Ushers 1824 Particular Ale, Hopback Summer Lightning, Great Lakes Moondog Ale, Shipyard Old Thumper, Alaskan ESB, Geary’s Pale Ale, Cooperstown Old Slugger, Anderson Valley Boont ESB, Avery 14’er ESB, Redhook ESB. Keep in mind that the BJCP sets the upper alcohol limit in this category at a lofty 6.2%. The classic example of Fullers ESB we get in kegs or bottles is 5.9% while the casks almost no one in the US gets are 5.5%. My own tasting notes for the cask version suggest it is more malty and complex as might be expected. A number of other commercial examples we can get in the US, although once again some US examples fall outside of the prescribed style guidelines. Anderson Valley ESB at 6.8% clearly falls outside of the BJCP 6.2% upper limit. Interestingly enough it’s also won gold at GABF in the category and the BA lists the upper ABV range as 5.8% – I guess those parameters are just suggestions and we should all brew beers that “go to 11”? So where do we go from here? Do American judges continue to subjectively assign scores to beers that wouldn’t qualify as what those in the UK would define as a bitter and if so is it time to create an “American Bitter” category? If not is re-education even possible given the poor variety of commercial examples available (particularly in the Ordinary or Special categories)? I don’t have any answers, just questions and ongoing concerns about this style of beer that I love. In the meantime I am planning my trip back to the GBBF in August for some much needed calibration.